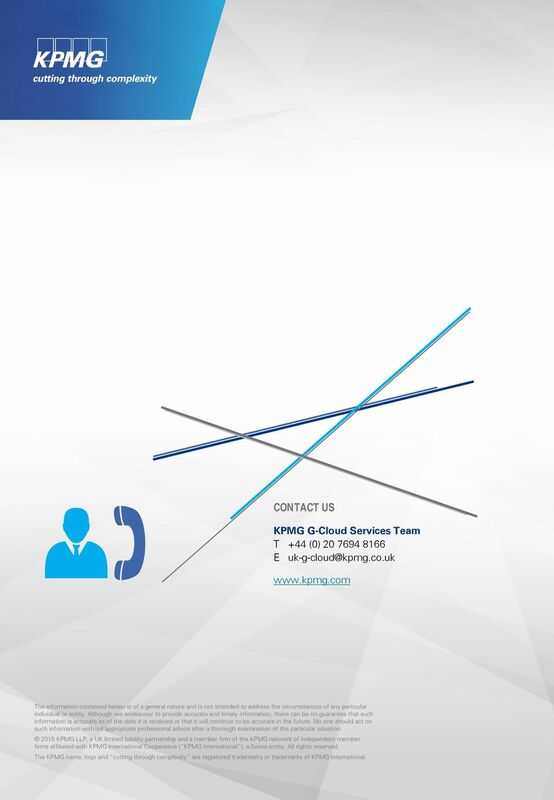 5 CONTACT US KPMG G-Cloud Services Team T +44 (0) E The information contained herein is of a general nature and is not intended to address the circumstances of any particular individual or entity. 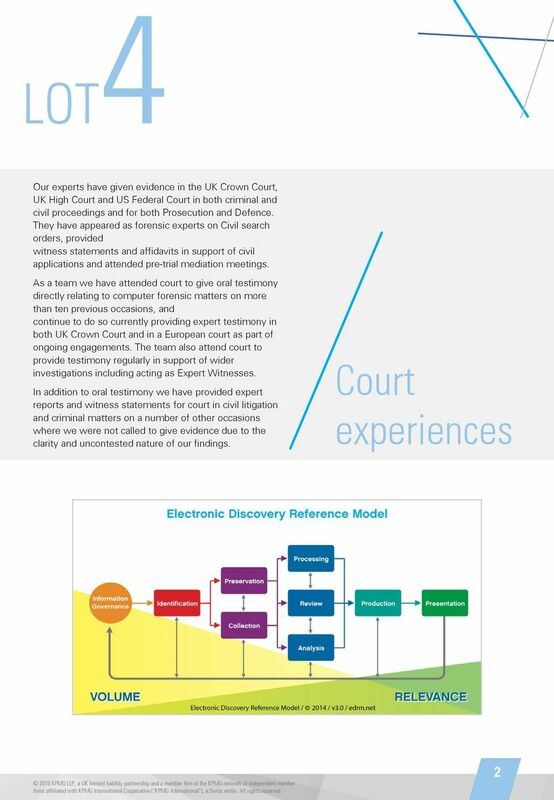 Although we endeavour to provide accurate and timely information, there can be no guarantee that such information is accurate as of the date it is received or that it will continue to be accurate in the future. No one should act on such information without appropriate professional advice after a thorough examination of the particular situation. The KPMG name, logo and cutting through complexity are registered trademarks or trademarks of KPMG International. PRIVATE EQUITY. 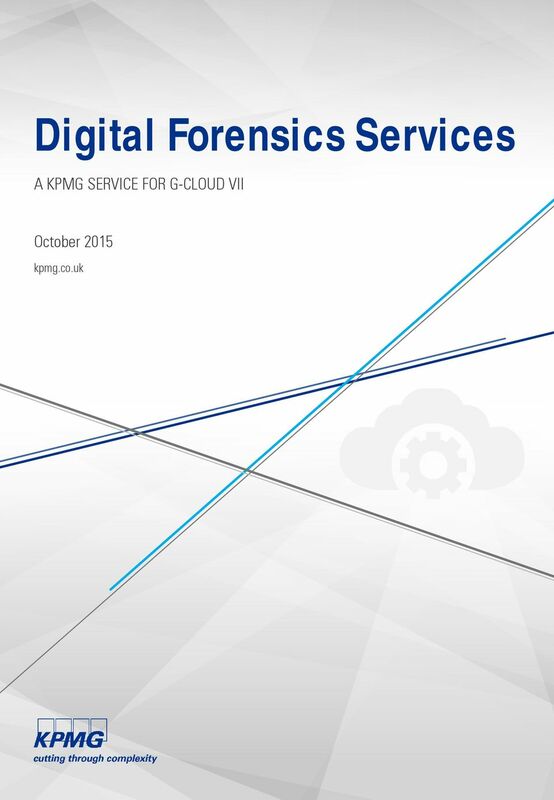 Forensic services. 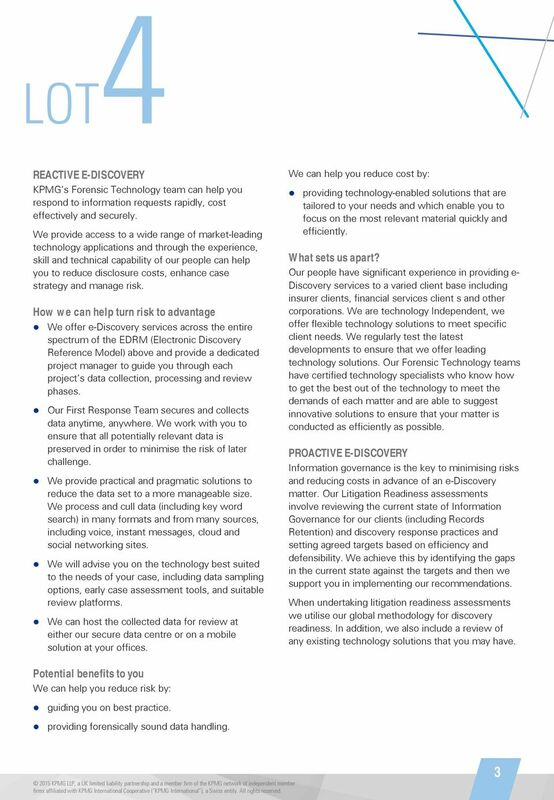 Helping to protect your business from fraud, misconduct and non-compliance ADVISORY. 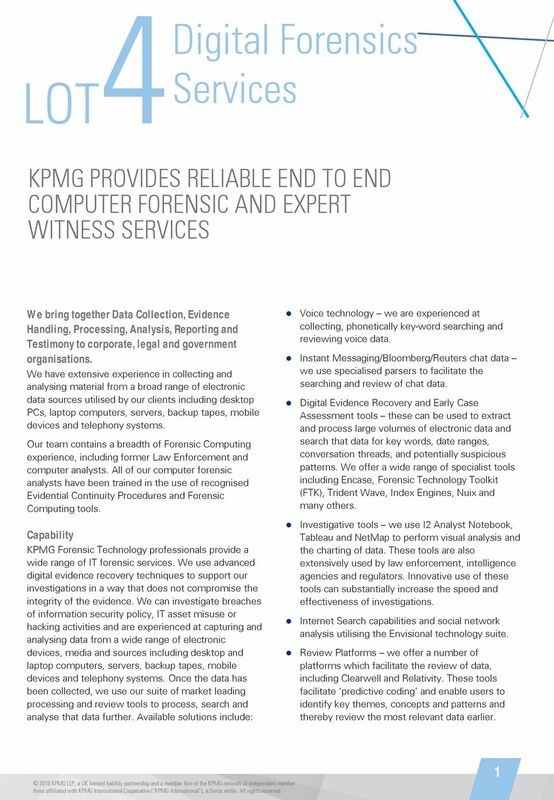 kpmg. PRIVATE EQUITY Helping to protect your business from fraud, misconduct and non-compliance ADVISORY kpmg.com/in Private equity firms looking to invest in Indian companies encounter a number of challenges.